BGC Masters Day 2: Judd Trump defeated Stuart Bingham to set up a clash against The Rocket in quarter-finals while Shaun Murphy beaten Masters debutant Martin Gould by 6-2. Ronnie O'Sullivan awaits to play the winner of Trump v Bingham on Thursday - And now we will have Ronnie v Judd explosive meeting again. It is the second appearance of the new UK Champion in the Masters after 2009 debut but lost to Mark Allen. This time Trump beaten Bingham to gain his first victory in the event. The 22-year-old opened the match with 87 before the Ballrun taking the next two with 69. Trump levelled with his first century of the match 107 to level at mid interval but Bingham regained his lead 3-2 with 73. 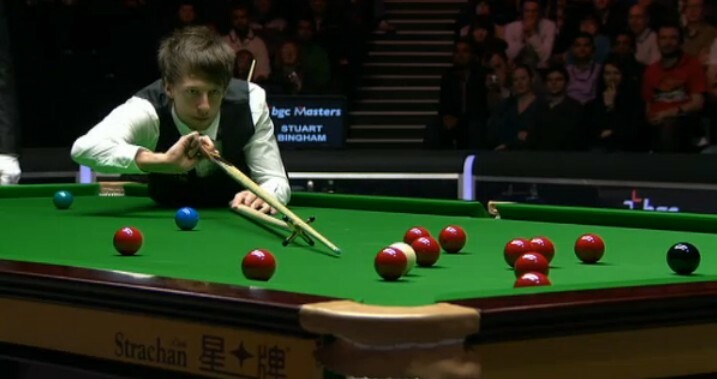 The Bristol boy did not let Bingham go far, taking the scrappy sixth frame to level then went 5-3 up with a 121. In the frame 9, Bingham had his chances to keep himself in the match but 50 from Trump secured his spot in the quarter-finals. "I felt good, I felt I scored well, "I still think there's a lot of stuff I need to work on, and there were a lot of disappointing things I did out there today. I seem to get in first every frame but then not capitalise on it. "Trump said. "It's always easy when I play Ronnie! It's always a great game and I think it will be packed out on Thursday - this tournament really seems to have caught up with the times.'' "It's always a special occasion when you play Ronnie in any tournament, especially when you don't know how much longer he's got left in the game. So you've just got to enjoy every moment when you play him. 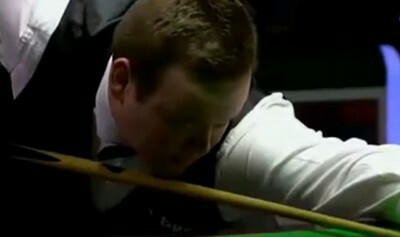 Shaun Murphy was through to the last 8 as well. Local favourite Martin Gould won the opener with breaks of 60 and 41 before Murphy took the next on the colours. The Magician went 4-1 up on the Pinner Potter with runs of 107, 82 and 59 although Gould pulled one back to trail 2-4 with a 50, it could not stop the former World and UK Champion to score well. 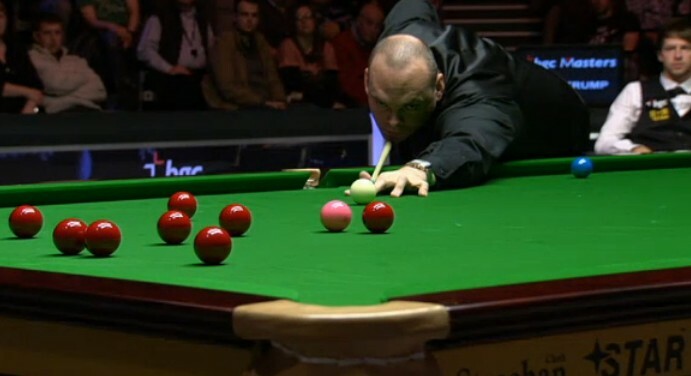 Murphy made 89 and a total clearance of 139 in the final frame, the highest break of the tournament so far to win 6-2. "I've been scoring well recently and I'm in good shape," said World No 6 Murphy. "It was a great atmosphere, a great crowd here. I've been here to watch the darts before and the atmosphere is electric in this place. " He now targets to win the Masters: ''There aren't many players who have won the World Championship, even less have won the World and the UK, and there's a very small group of players who have won the three major championships. This is the only one that's eluded me. I've never got to the semi-finals so maybe new venue, new start."